The team for the upcoming documentary “An Act of Worship” has found the beauty in paving the way towards justice, even if that means constantly battling hate. The team first partnered with Field of Vision landing the premiere episode for the “Our 100 Days Series,” putting a direct spotlight on the aftermath of the Muslim Ban and other Trump policies that targetted the Muslim community. It is now expanding to create a full-fledged documentary on Muslim activism and how today’s political landscape affects our ummah. 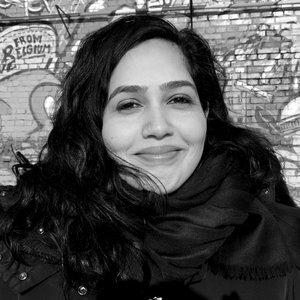 MuslimGirl landed an exclusive interview with the film’s director, Nausheen Dadabhoy, to discuss the importance of looking inward for media inclusivity to break down stereotypes and stand up to policies affecting the community through all forums of communication. Muslim Girl: Give us a brief synopsis of what the documentary will chronicle. Nausheen Dadabhoy: “An Act of Worship” is a look at Muslim-American activism and resistance in response to the Trump administration’s policies targeting the community, in particular, the Muslim Ban. The film will focus on organizations like CAIR that are the standard bearers for protecting Muslim civil liberties, but we also want to highlight Muslim youth who are being galvanized into action now given the current political climate. This will all be set against the backdrop of the Islamophobia industry which is actively working against our community. Why do you choose to take on this project and what do you hope to convey? Like many Muslim-Americans I was feeling very upset and angry after the elections and I was also fearful of what a Trump presidency would mean for our community. I decided to channel those feelings towards something positive and to use my skills as a filmmaker to become a part of the resistance. I knew that our civil liberties would be in jeopardy and I wanted to highlight the work of Muslim-American activists who were going to be on the front lines of the fight to protect our rights. I hope that this film will help bring attention to their work. I hope it will inspire more Muslims to get involved, and I hope that it will bring our community more active allies. What has this experience been like so far? How has the project broadened your horizons? I hope that the film will do much more than this, but for now it’s been like therapy for me. Every time I hear something bad on the news or I get worried about what might be around the corner, I get to spend time with Hussam Ayloush who is the Executive Director of CAIR-LA, or Ameena Mirza Qazi, who is the Executive Director of the National Lawyers Guild in Los Angeles, and knowing that they are out there doing the work that they are doing gives me hope for our community right now. Meeting young Muslims who are involved with things like Muslim Day on the Capitol or the Day of Remembrance at Manzanar, which was the Japanese internment camp in California, gives me hope for the future of our community. Mostly I’m excited to see Muslims actively engaging in protests, and fighting for their rights. So often our community is painted in this flattened image of prayer or terrorism, and nothing in between, and I think this image of Muslims engaged in activism is exciting, but also necessary. This is a moment where we have decided as a community to be in control of the narrative about us, and I can’t wait to see how this will impact us in the years to come. What will the money from your crowdfunding page be used for? We started filming in January right after the travel ban was announced. We had a bi-coastal team that was filming in LA and NY, and we were able to capture events as they unfolded at the airports. With this footage, we received a small amount of money to make the short film through Field of Vision and Firelight Media. The Kickstarter campaign will allow us to continue filming through the fall, so that we can keep up with everything that our documentary subjects are doing. The Supreme Court will be hearing the case on the travel ban in October. The news cycle waits for no one, so we have to keep the cameras rolling! Join the resistance and donate to the amazing cause today. A brave initiative. A commendable effort empowering American Muslims. Indeed it is an “Act of Worship’. May it turn out well and encourages others too – to be practical, assertive and productive. Impossible to find a better director/leader for this project than Ms. Dadabhoy. Her exquisite visual sense and firm command of storytelling will contribute mightily to this important work. It’s not a Muslim ban. Obama did the same thing with Iraq. Was that a Muslim ban? Get your facts straight.